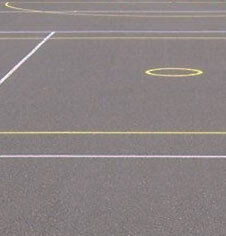 Heavy duty outdoor specifiction multi use games areas and anti vandal steel goal units. Designed with high grade tubular and box steel with additional heavyweight mesh grid fence ball rebound panel enclosure options. Robust systems designed to be installed direct to the ground. Suitable for schools and playgrounds, inner city play areas and high durability areas and meeting all required safety standards. Additional options include full or partial height enclosure fence, security and lockable access gates, multi sports line marking and artificial sports grass including 3G multi sport surfaces. OMG 800 steel & PVC composite panel outdoor multi use games area. OMG 810 steel & coated mesh panel outdoor multi use games area. OMG 820 steel & coated mesh panel outdoor multi use games area. OMG 830 steel panel & netted mesh outdoor multi use games area. OMG 640 timber panel & steel frame outdoor multi use games area. OMG 850 timber panel & steel frame outdoor multi use games area. OMG 860 timber panel & steel summer sport multi use games area. OMG 870 timber panel & steel frame outdoor multi use games area.